Milivoje M. Kostic, Ph.D., P.Eng. 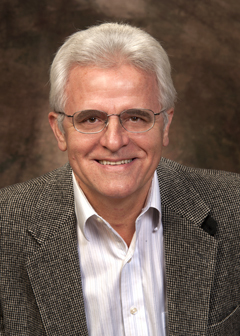 Milivoje Kostic, Ph.D. is a Serbian-American Thermodynamicist and professor emeritus of Mechanical Engineering at Northern Illinois University, a licensed Professional Engineer (PE) in Illinois and editor-in-chief of Thermodynamics of the journal Entropy. He is an expert in energy fundamentals and applications, including nanotechnology, with emphasis on efficiency and energy conservation, and environment and sustainability. Kostic was born and raised in Serbia. He completed his "Dipl-Ing" (Diploma Engineer) degree in Mechanical Engineering at the University of Belgrade, with the distinction of having the highest GPA in the mechanical engineering program's history at the time. Then he worked as a researcher in thermal engineering and combustion at Vinca Institute for Nuclear Sciences, which then hosted the headquarters of the International Center for Heat and Mass Transfer (ICHMT), and later taught at the University of Belgrade. In the meantime, he spent three summers as an exchange visitor in England, West Germany and the former Soviet Union. Kostic came to the University of Illinois at Chicago in 1981 as a Fulbright grantee, where he received his Ph.D. in mechanical engineering in 1984. He subsequently worked several years in industry before he immigrated to the United States in 1986. After working for 26 years at Northern Illinois University, he retired in 2014 to focus on his fundamental research, and became a professor emeritus in 2015. Kostic was appointed the editor-in-chief of the Thermodynamics Section of the Entropy journal, after serving as a guest editor of two special issues on Entropy and the Second Law of Thermodynamics. Kostic has also worked in industry and has authored a number of patents and professional publications, including invited articles in professional encyclopedias. Professor Kostic was appointed as NASA faculty fellow, and Fermi and Argonne National Laboratories faculty researcher. He has won a number of professional awards and recognitions, is a frequent keynote plenary speaker at international conferences and at different educational and public institutions, and is also a member of several professional societies and scientific advisory boards. Professor Kostic is interested in the fundamental laws of nature, thermodynamics and heat transfer fundamentals and applications, and especially the Second Law of thermodynamics and entropy. He has developed a collaboration with Tsinghua University and other Chinese universities, where he has been invited several times to lecture on his creative research.